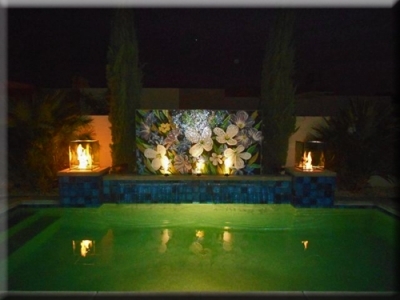 Larry Kirchner is another client of ours from Palm Springs CA. 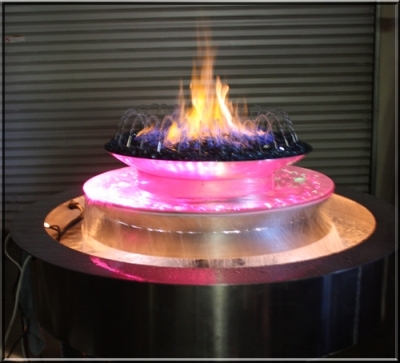 He wanted a custom outdoor bent #304 Stainless Steel burner for a natural gas fire pit he was building by his outdoor patio. 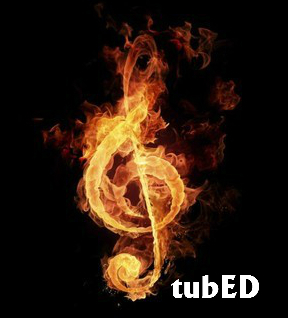 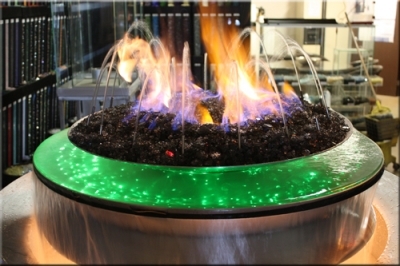 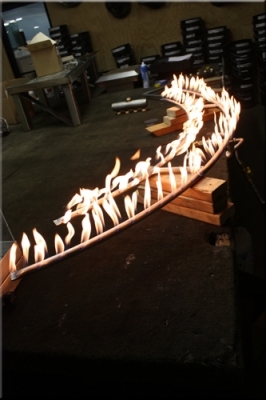 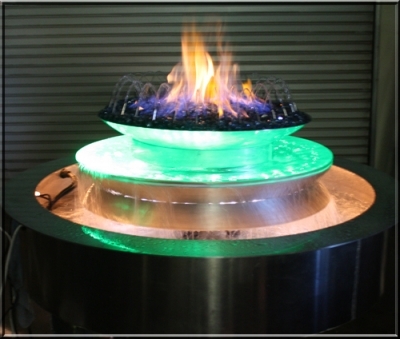 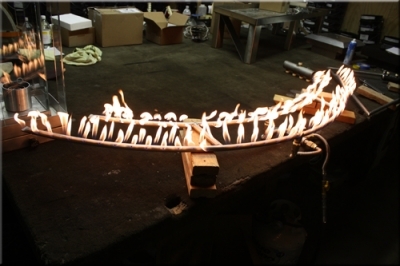 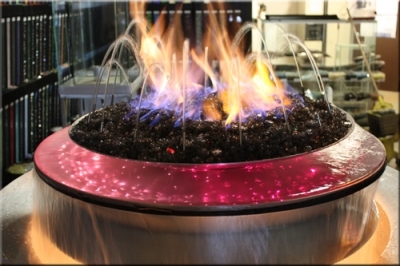 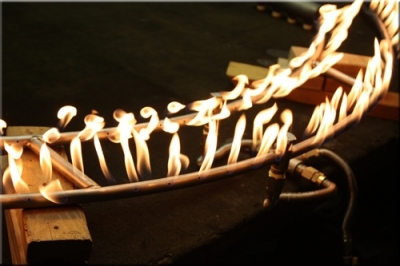 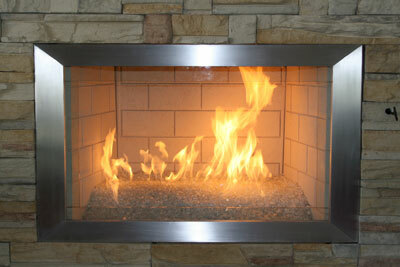 The custom bent burner had a 3/4" inch hub connection to assure a quality flame. 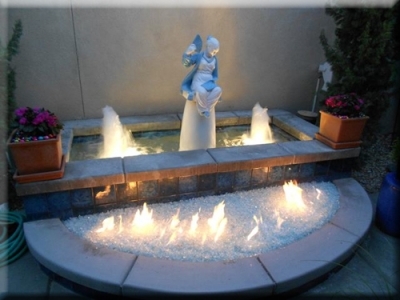 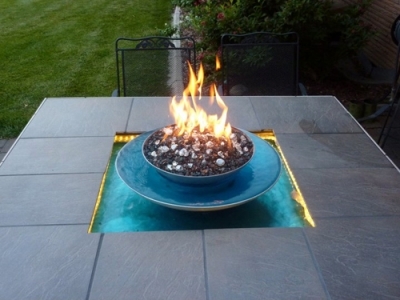 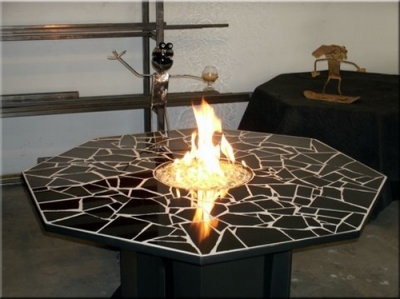 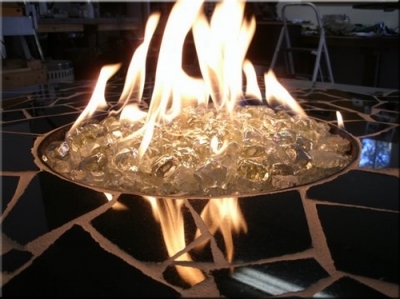 And here is Larry's backyard with the custom burner installed below a fill of 1/4" Clear Base Glass FireGlass. 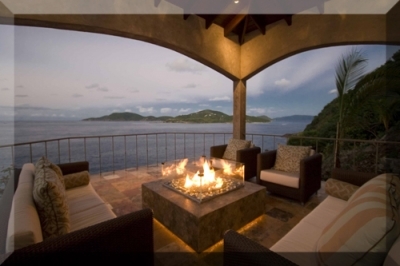 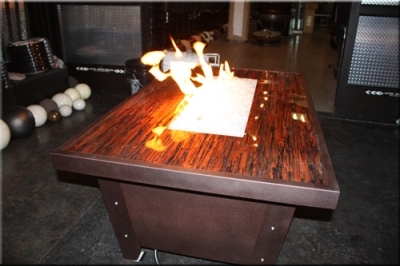 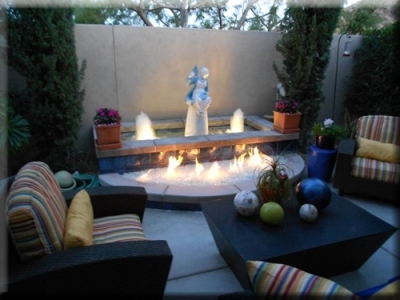 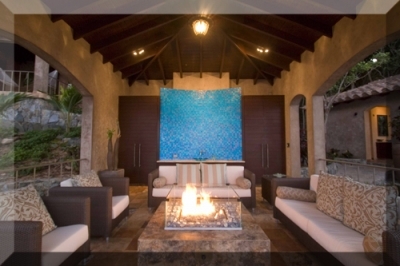 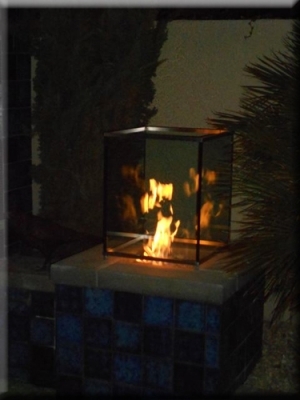 Larry also requested that we build him 2 custom glass boxes to accompany pool side fire pits. 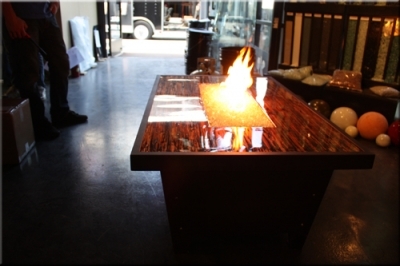 We used 1/2" Clear Glass and stainless steel for custom boxes, which successfully enclosed the flames so to prevent them from fluttering in the wind. 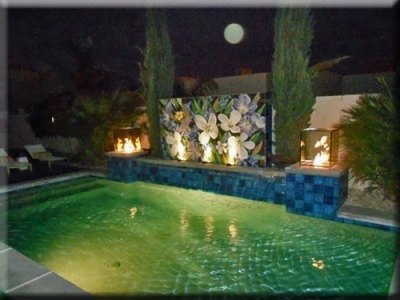 Larry was very pleased with the results and we love this last shot of his beautiful pool and fountain with a full moon.